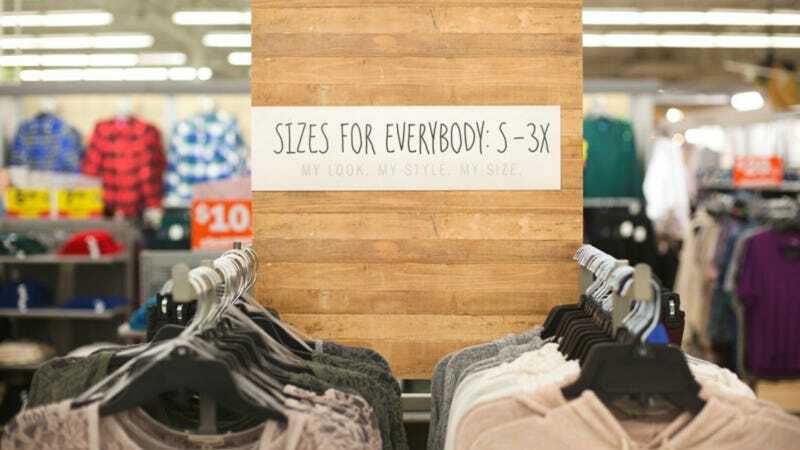 One retailer is canning its plus-size section. But they’re not taking the category online-only, or discontinuing it entirely. Instead, they’ll mix bigger sizes in with the rest of their inventory. The Wall Street Journal reports on the changes at Meijer Inc., a large regional superstore based in Michigan. You’ll go to one rack for the same plaid shirt, whether it’s a medium or a 2XL. They’ve also eliminated price differences between straight and plus sizes, promising to eat any additional manufacturing costs themselves. The concept, already in practice in 15 stores, will be rolled out to all 230 stores by early 2017. It means the majority of styles will be offered in everything from a size small to XXXL. This isn’t totally unprecedented—Modcloth, for instance, made a hullabaloo about renaming its larger options “extended sizes” and has long combined product pages for those items that run from XS to 4X. But they’re an online retailer, which have generally been faster to catch on to the plus-size clothing boom. The trick will be in the execution. If Meijer doesn’t ensure that it has plenty of selection in stock, the experience for shoppers won’t be an improvement but rather a downgrade. Nobody wants to spend twice as long combing through racks of stuff that doesn’t come in their size to find the stray items that do.